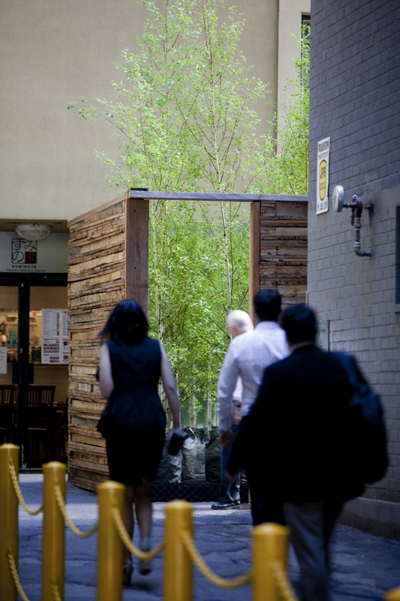 Laneways By George! 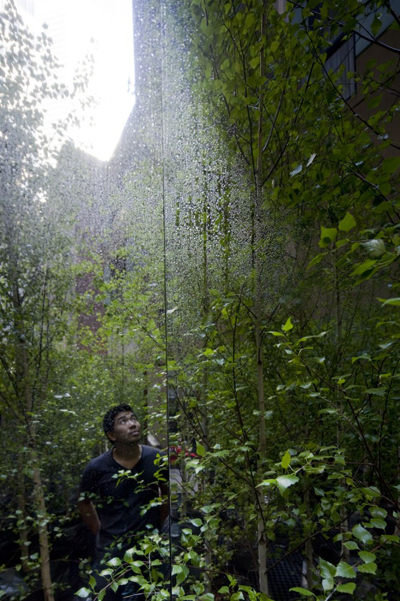 Hidden Networks. 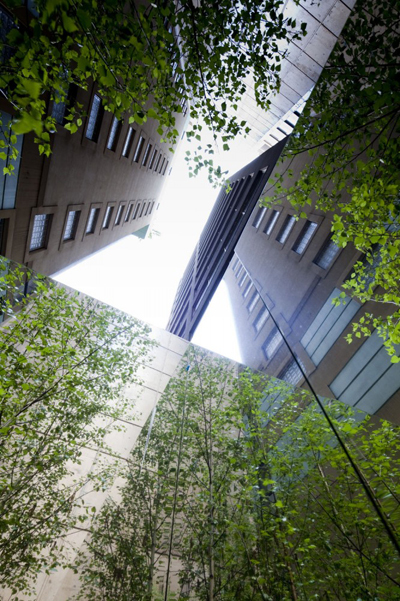 As part of a series of temporary urban art interventions taking place in the City of Sydney, The Infinity Forest is a green oasis amongst the hard, vertical walls of Penfold’s and Hosking Place. 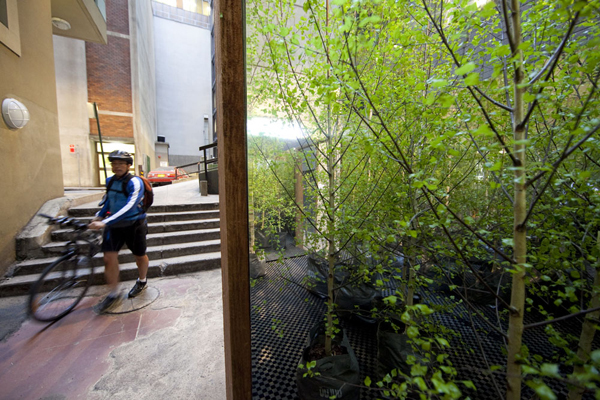 Normally used as a shortcut or smoking area, this forgotten alley’s visitors will now find it transformed by a burst of concentrated nature.In the space between fire escapes, vehicle ramps and back door entrances, you will come upon tough timber walls that conceal a forest within. Entering this intimate urban living room, you discover yourself captured in an infinite view of a silver birch forest, where you can pause and reflect on the city above.